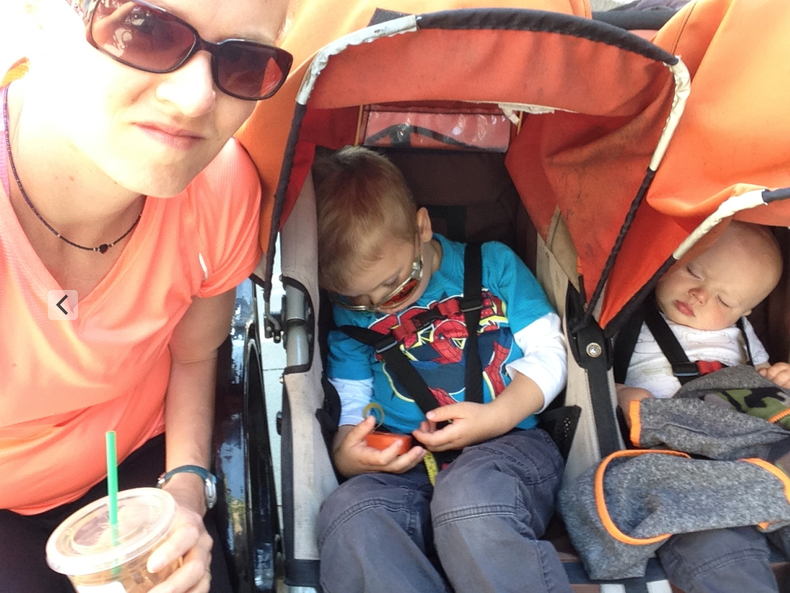 Babywearing, strollers and carrying, oh my! What’s the best way to get in more movement with my little one? Seems like a simple enough question, right? 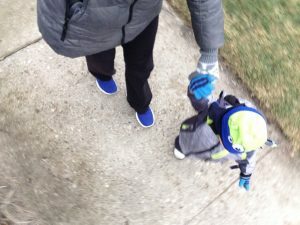 One that our own mothers probably would have just answered with, “Just do your job as a mom, and you’ll move plenty.” But if you ask experts and your mama friends today, you’ll probably be bombarded with advice, some of it conflicting and frustrating. And you wonder why “mom guilt” is a thing—and why so many of us struggle with how we should be moving our bodies. When I had my first child, I was a 100-percent stroller mama. He was such a cranky little guy that sometimes the only time I could relax and enjoy him was when he was strapped into his seat and I was out walking or running. 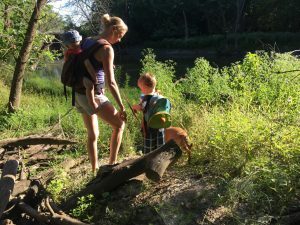 After my second was born, I simultaneously found myself following natural movement experts (who preach against strollers as if they’re little baby straightjackets) and women’s health physical therapists (who caution that too much time spent holding your little one is not always great for postpartum healing). I tried to balance the pros and cons of both, but to be honest, I kind of made myself nutty. Some days I’d really want to just push my kid in the stroller, but I’d feel guilty about strapping him in and turning him into a “zoo human.” Some days, I’d try to be a superhero and carry everyone and everything, and then worry about whether my uterus was going to fall out. Fortunately, I got a baby who was pretty much content with everything. Thank God I wasn’t “woke” on natural movement when I had my firstborn, or I would have certainly been a candidate for postpartum depression. Sometimes, the more advice you get, the more you stop trusting your intuition and instead, find yourself overly concerned with how so-and-so would have handled this. Don’t get me wrong: I’m grateful that I understand the importance of protecting my pelvic floor. I’m happy to have natural movement role models who inspire my parenting and daily activity. But if this knowledge and intuition wasn’t complemented by good ‘ol intuition—a sense of what just feels right, I’d be lost. My two cents: Be informed. Be inspired. And then do what feels right—both physically and emotionally. Don’t second-guess yourself. Don’t worry about what so-and-so will think. And when it comes down to it, I bet you’ll find that if you “just do your job as a mom,” you’ll move plenty.